Assistant Dean of the School of the Arts Tom Kingdon is in charge of the new minor. Nonfiction stories are told through many different mediums, and some departments at Emerson have decided to collaborate so students have the opportunity to explore them all. 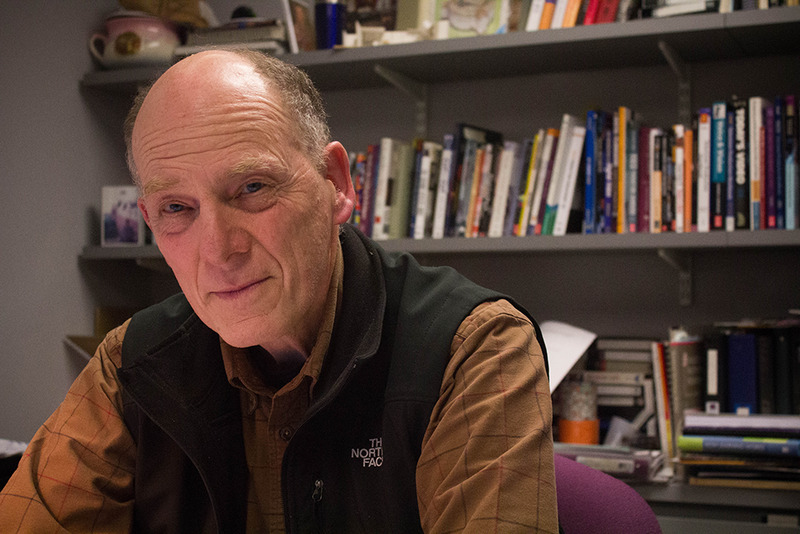 A new interdepartmental minor called “Nonfiction Narratives”—which will include courses from journalism; visual and media arts; writing, literature and publishing; and performing arts departments—may be offered next fall, Assistant Dean of the School of the Arts Tom Kingdon said. This minor is designed to expose students to different mediums, like newspapers, documentaries, and magazines. Kingdon, who is in charge of the new minor, said the idea was introduced two years ago at a School of the Arts meeting. Each department would make some nonfiction narrative classes available that were previously inaccessible to students outside that major, Kingdon said. He said students will be offered magazine writing classes from writing, literature, and publishing, documentary classes from visual media arts, and documentary theatre from performing arts. Sophomore Ian Mandt used the college’s individually-designed interdisciplinary program to create his news content for new media major which combines visual and media arts and journalism. Mark Leccese, associate journalism professor, thinks there are a lot of skills students can gain from taking courses that teach different forms of storytelling. Brooke Knight, chair of the visual and media arts department, said that although professors welcome students from different departments, opening VMA production classes to non-majors is difficult. “That is a challenge for us honestly because of the resources involved and the space and classes we can offer to students since we have quite full classes as it is right now,” Knight said. Kingdon said the minor will soon go through the approval process. If departments accept it, it will be available to the students next fall. Like comedic arts, which started out as a minor in 2014 and became a major this year, the nonfiction narrative minor may pilot as a minor with potential to become a major, Kingdon said.